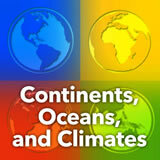 Throughout the World Geography course, students will work extensively with the CIA’s The World Factbook. 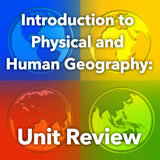 This experience serves as a tutorial so that they will be familiar with the reference publication when required to use it within the framework of an experience. You may choose to assign this experience for one extended class period, or have students work through it over several class periods, ensuring that they are confident in how to use the World Factbook before moving on to content experiences. 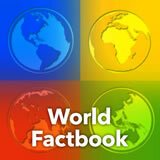 Throughout the World Geography course, you will be using the Central Intelligence Agency’s (CIA) The World Factbook site. Let’s get some practice using it. 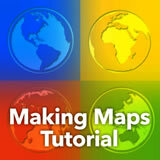 From the homepage, you can explore information about a region, a country, flags, maps, and more. Let’s look at the different ways you can learn about a country. In the region map on the right, click South America. From the list of South American countries, click Brazil. From this Brazil main page, you can view the flag, a map of South America with Brazil marked on it, a map of Brazil, and ten photos. Click any of these elements to zoom in and see more. Take a screen shot of the map of South America with Brazil marked, and upload it to the canvas below. Further down, you will see ten section titles. Click on any title to read information about Brazil. Start by expanding the Introduction section. Now return to the Brazil profile. Find the People and Society section, and then the “Population” subsection. Use the information to answer the following question. Which of the following countries have a larger population than Brazil? 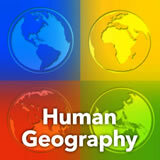 Find another interesting fact about Brazil’s geography and post it to the discussion wall.